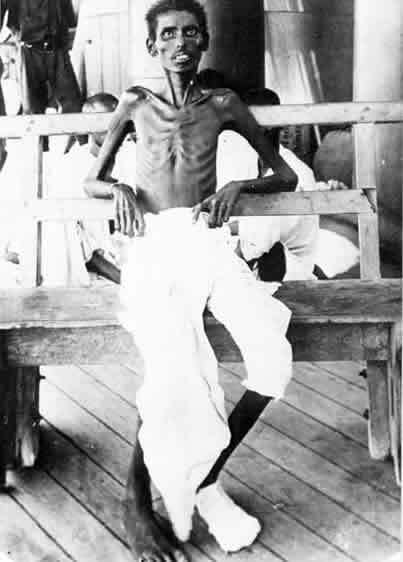 This photograph shows an emaciated Indian army soldier who survived the siege of Kut (December 1915-April 1916). It was probably taken in July 1916, after he and other British POWs had been released from Turkish captivity in Baghdad during a prisoner exchange. The soldier's skeletal frame indicates not only the appalling conditions inside Kut during the siege, but also the harsh treatment meted out to 'other ranks' while in enemy hands afterwards.